Dimensions (L x W x H): 25" x 14.25"
This copper feeder tubes. Is just great. 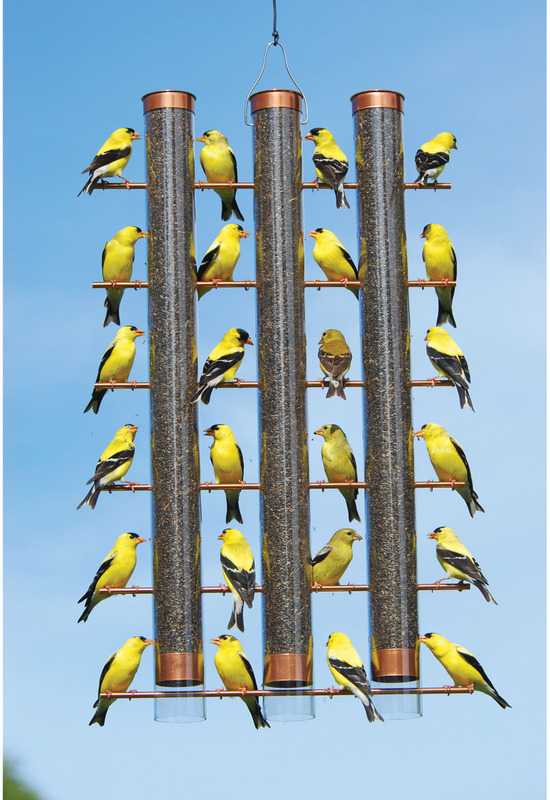 I have up to 14 goldfinches at a time on them! Just great I please always have that feeder. We love our feeder the birds love it too. I truly enjoy my finch bird feeder! 'Never had so many birds at one time! I've placed it where it is in view from three rooms. Highly recommend it! 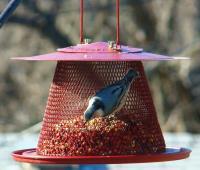 My finches love this feeder. They fill every one of the eating ports. I have 2 single feeder that they also line up on. You cannot beat this 3 tube feeder. Purchased this feeder for my finches - the squirrels ate off the "thin plastic tops" and through the tube itself - had to toss it and go back to an old one!